Share the joy this festive season – Grab a cup and enjoy another on us! 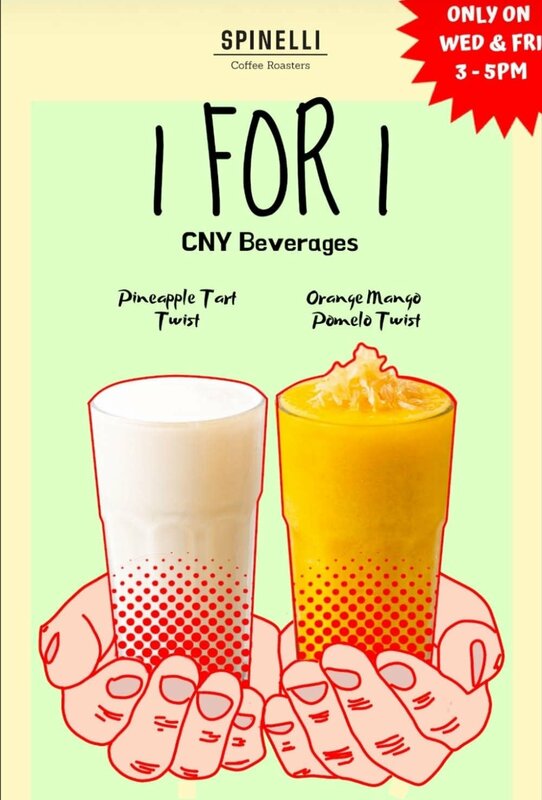 Choose from our limited time specials of Orange Mango Pomelo Twist, Pineapple Tart Twist or Pineapple Tart Spin (with a shot of espresso). Only available every wednesdays and fridays from 16 January till 8 February 2019, 3-5pm.